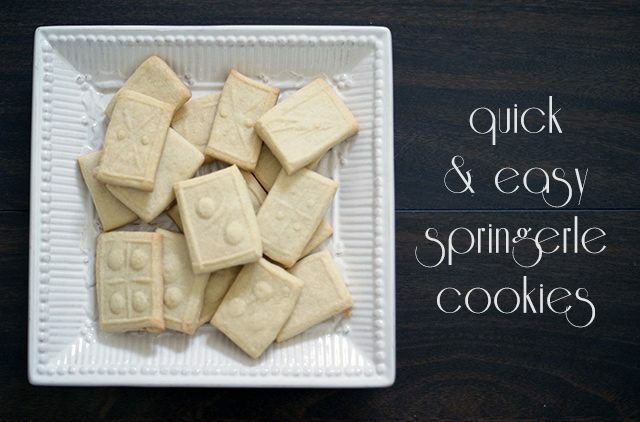 Springerle are a flat, white, crispy cookie traditionally made in Germany, Bavaria or Austria. The designs are added before baking using a carved springerle rolling pin or flat mold. Traditional springerle are made from just eggs, confectioners sugar’ and flour and flavored by sprinkling a surface with anise seed and placing the cookies on top for 24 hours to dry and absorb the flavor before baking. 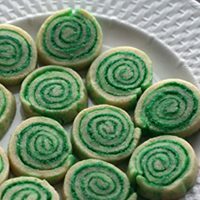 While this year’s unofficial theme is traditional cookies from around the world, I decided to try this “easy” springerle cookie first. This shortbread dough can still be rolled or pressed with the traditional molds but doesn’t require muscle power to roll out and doesn’t need to sit for 24 hours before baking. The butter gives it a pale yellow color as opposed to the pure white of the traditional recipe. 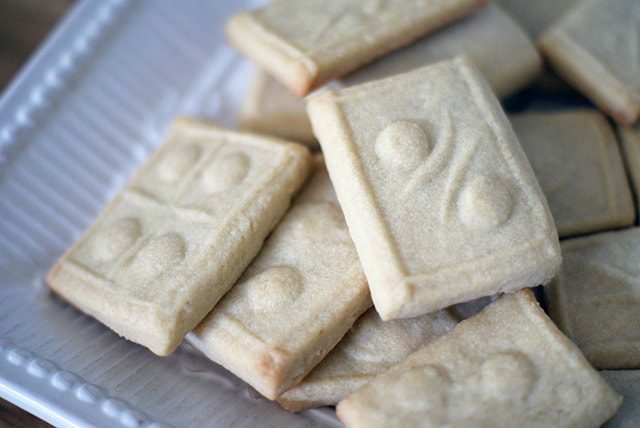 And — hello — shortbread, one of my favorite cookies! In a medium bowl, cream together butter, sugars and salt until light and creamy. Beat in eggs and extract. Fold in flour. Divide the dough in half and form each half into a disk. Wrap the disks in plastic wrap and refrigerate for at least an hour. When you’re ready, preheat the oven to 400 degrees F. Remove one disk from the refrigerator. Roll out on a lightly floured surface to 1/4″ thick. Lightly flour your springerle pin or mold and then tap to remove excess flour. Slowly roll the pin over the dough or press the mold in place (pressing firmly to create a good design). Cut out the designs with a pastry wheel. Transfer the cookies to a baking sheet or stone and bake for 10-12 minutes, until the edges are lightly golden. Remove from the oven and cool on the pan. 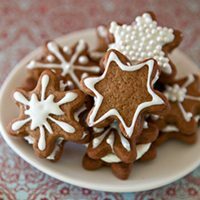 Use 1 teaspoon vanilla or almond extract for a simple, delicious cookie. For a citrus-y cookie, use 1 teaspoon lemon or orange extract. Use 1/4 teaspoon Fiori di Sicilia flavor for a creamy orange flavor. How important is the springerle pin or mold? Can I just use a cookie cutter? 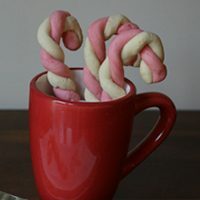 If you followed the traditional recipe (http://www.kingarthurflour.com/recipes/holiday-springerle-recipe) and cut them with a cookie cutter, then I think you might be able to still call it springerle! I had fun with this and my springerle rolling pin from thrift store. I did add a touch of nutmeg, ginger and cardamom which made for some pretty amazing short bread! I couldn’t really taste any spice coming through so it was just enough to brighten the doughs’ flavor and give it a little boldness to go along with the richness (if that makes any sense).